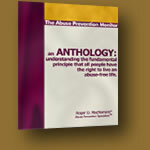 A collection of monthly newsletters, The Roger MacNamara® anthology is dedicated to the proposition that children and vulnerable adults have the right to live abuse free lives. 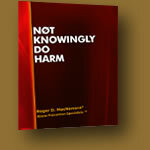 Each newsletter addresses a particular aspect of abuse prevention. The information continues to be as pertinent and relevant as the day it was written and the anthology is easily disassembled so issues may be used individually for training. A Basic primer on emotionally responsible caregiving values and practices. You either know your employees or wait for a tragedy. You either influence them or watch them be influenced by negative undercurrents or adopted practices. There is no substitute for employee appraisal. 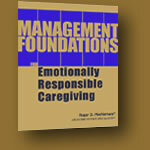 A management foundation for emotionally responsible caregiving is essential for success. 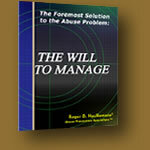 There are reasons for the persistence of abuse. The usual practices are to speak and write around them. This monograph places these omissions and commissions into the light of day. 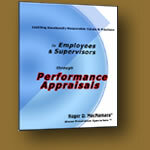 Required reading for managers and supervisors. The human service agency owes its right to exist by the attention and effort it devotes to the actual giving of care, continuously defining what is acceptable and what is not. 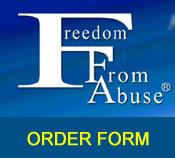 Abuse is not acceptable and is preventable by an organization devoted to emotionally responsible caregiving. 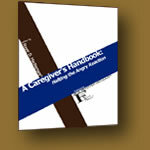 This handbook offers illustrations from the caregiving scene and at home and in public. This handbook asks employees to question themselves, their choice of employment. This handbook teaches them forms of anger and angry responses. It then asks them to evaluate their own patterns. This handbook brings anger and reality together in a self-help and coaching format. 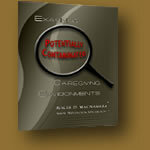 This handbook is designed for occupational and personal development and not for a "be good or be gone" single session. This handbook will challenge your organization to adequately and continuously prepare direct care staff for the daily occupational pressure. Find out how such Roger MacNamara® concepts as Emotionally Responsible Caregiving, Diagnostic Supervision, and Service Delivery Management lead to "Zest for Living" and "Inner Peace".